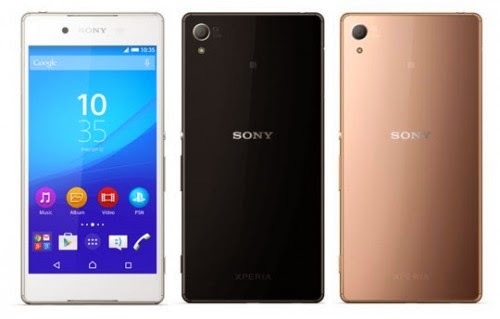 The upcoming flagship device of Sony, Xperia Z4 announced at an event in Japan. Here are the specifications of this successor of the most rated android smart phone along with its expected price in India. Xperia Z4 has a screen of 5.2″ inch with the full HD resolution of 1920 x 1080 pixels, while the expected resolution was 2K or Quad HD. The device has a similar body structure as its predecessors and the traditional IPS LCD Triluminos display, including an updated X-reality engine resulting a bright and illuminated viewing experience. The device is ultra thin with the thickness of 6.5 MM and pretty light weight too. Just like any other smartphone in Z series, the Z4 is also IP-64 Certified. This flagship device sports a 64-bit Qualcomm Snapdragon 810 Octa-core processor clocked at 2 GHz combined with an Andreno 430 GPU. Xperia Z4 will be running on Android 5.0 Lollipop. The smartphone is packed with 3 GB of RAM, which is also differ from the expected 4 GB and an internal storage of 32/64 GB which is expandable up to 128 GB via Micro SD card. The device will get powers from a 2930 mAh non-removable Li-ion battery. Not a big upgrade seems to be done in this section too, Xperia Z4 sports a 20.7 MP Camera with the sensor size of 1/2.3″ inch including the loads of sensors like EXMOR and BSI. There is a front camera of 5 MP. The rear camera is capable of recording 4k videos at 30 frames per second with ease while for you will get 60 fps for 1080p and 120 fps for the 720p video shoot. Front snapper can also record 1080p videos at 30 fps. No information is provided over the availability of the Xperia Z4 outside Japan. Sony Xperia is very simple if we talk in the terms of improvement and following that fact, Xperia Z4 may will launch for around 52,000 INR in India and will easily get the price drop of around 3-6 thousand in next three to four weeks.